Want to feel stronger, slimmer, happier and healthier? It all starts here! 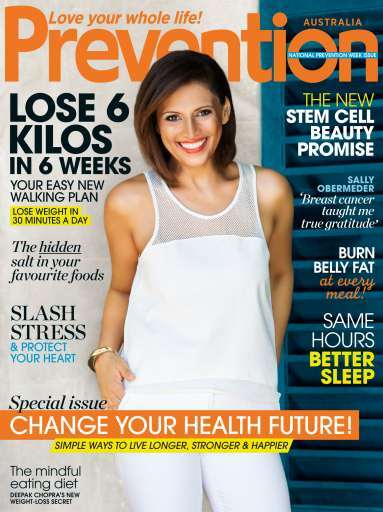 In our very special National Prevention Week issue, five of Australia's most inspirational women share the simple, life-saving message that will change your health future, today! 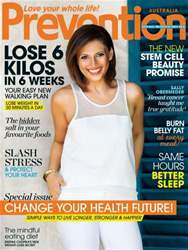 Plus, lose up to six kilos in six weeks with our easy new walking plan, eat well with delicious, nutritious recipes from Pete Evans and Sarah Wilson, and wake up refreshed (every single day) with the first instalment of Prevention's 3-part sleep special.